There are many wonderful ways to record our kids’ childhoods, but one dad is creating a masterpiece for his daughter and son. Dutch filmmaker Frans Hofmeester has captured daughter Lotte’s growth in 15-second tapings each week since she was born. 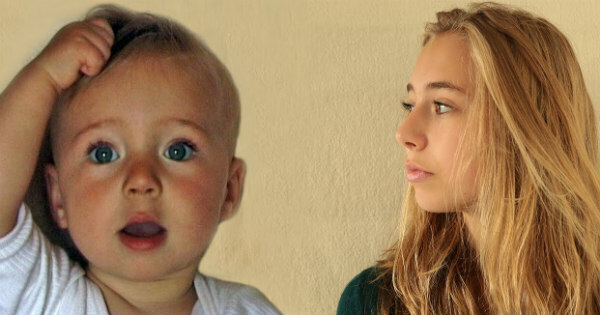 He’s pulled them together in a mesmerising time-lapse video, Portrait of Lotte, showing snippets of her first 14 years. The four-minute video – accompanied by original music from Grammy-winning composer Mateo Messina written specifically for the project – shows Lotte from tiny baby to vibrant young teen. I am just fascinated by these videos – maybe because they provide a glimpse into the mystery that is growing up, and the realisation that childhood really does go so fast (even without being sped up like this!). If you love these, be sure to check out our posts on pregnancy time-lapse videos and a whole pregnancy in six seconds, as well as the amazing “live” drawing that imagines a baby’s lifetime.